Welcome to Triple J Saipan! 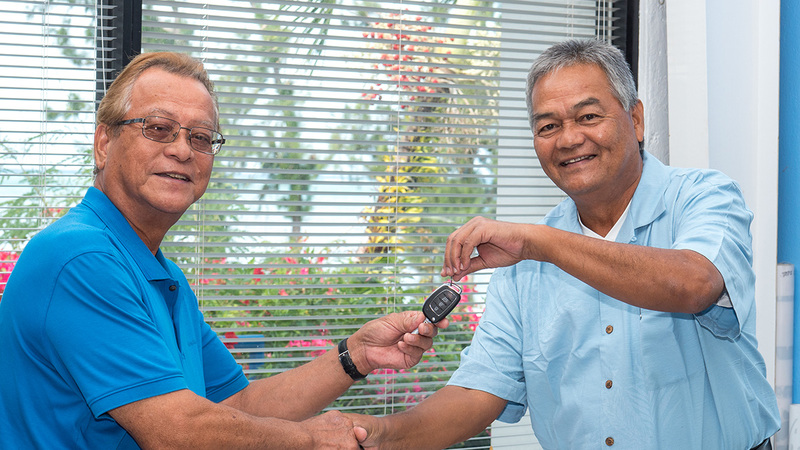 From Routine Service to Complex Repairs, Triple J Motors Saipan provides Drivers from with Quality Auto Service. If you’ve ever popped the hood of your Mazda3, Hyundai Elantra, or Mitsubishi Outlander, chances are you had one of two reactions: either amazement or confusion. Maybe both? While the former is certainly to be expected, Triple J Motors Saipan is here to address the latter. We are conveniently located along Beach Road. Stop by and visit today! Triple J Motors, Saipan is your one stop shop for the best value in new cars and sport utility vehicles. We are the authorized distributor of Mazda, Hyundai and Mitsubishi, U.S.-specification vehicles. We are also the distributor of Bluebird buses and Isuzu commercial trucks, as well as automotive lubricants and supplies such as Chevron Supreme motor oil and Little Trees car fresheners. We are conveniently located on Beach Road in Chalan Laulau, and we gladly appraise trade-ins and can arrange bank financing while you wait. Our factory-trained, veteran service and parts staff can service all makes of vehicles. Triple J Motors, Saipan is open six days a week, Monday thru Saturday. Our service desk opens at 7:30am while parts and auto sales open at 8:00am.